Jet Internal: Typhoon Directional 2 Inch SS/Graphite Gray 23422-112-000 by CMP Custom Molded Products. 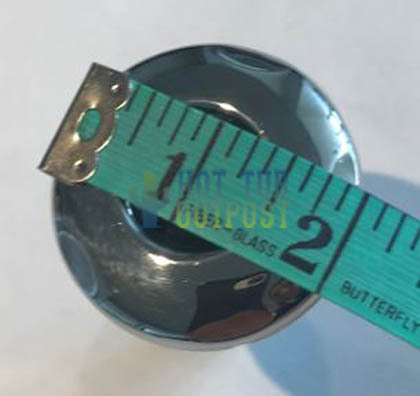 This jet insert is the CMP Typhoon 200 Series 2 inch diameter face in stainless steel with dark gray center nozzle. The pattern is directional. 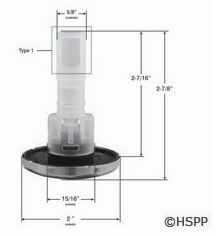 Diffuser opening is type 1 and the nozzle diameter is 5/8". Length is 2 7/8" total. This scalloped face design stainless steel jet features adjustable on/off control and has 2 inch diameter face for replacing CMP Typhoon jets. This is a snap-in style jet.